Last weekend I attended a gathering to celebrate the 30th anniversary of the Oakland Men’s Project (OMP), a pioneering organization dedicated to preventing men’s violence against women. While the organization formally closed its doors in 1999, the reverberations of OMP’s work still resonate today. When OMP started in the late 1970s, most men interested in ending men’s violence worked with men who batter. OMP decided early on to take a different tact; they would be dedicated to social change through prevention and education. Their work blended exercises, role plays and an analysis exploring the links between ending oppression and male violence. At Oakland Men’s Project men and women worked together to create social change. After being featured on Oprah, Oakland Men’s Project became known as a national resource. Oakland Men’s Project’s legacy includes many books such as “Helping Teen Stop Violence” (authors Paul Kivel and Allan Creighton are working on a 20th anniversary edition), “Men’s Work”, “Young Women’s Lives”, and “Making the Peace.” Exercises such as the “Act Like a Man Box” have become stables of gender socialization units for countless sexual violence and domestic violence prevention programs throughout the country and the world. During the celebration, we went around the room sharing how OMP’s work influenced their lives. I heard how some people learned to value their own voices through this work. Others explained how they had to integrate this work into how they raise their children. Many shared stories on how they learned from each other – their mentors, their peers and the people they were teaching. The work of Oakland Men’s Project, its related projects and the mentoring from many of its members provided me with a foundation for my work in the movement to prevent violence against women. As I learned new strategies (such as public health), I continue to embrace the importance of social justice and being an ally to ending oppression as key elements of my work. And the work continues today. We heard the children of OMP staff demonstrate how they are engaged in social change, leadership program participants highlighted how they are inspired to continue on, and former staff told how they integrate this work into their current efforts. How has Oakland Men’s Project influenced your work to prevent sexual violence and domestic violence? David S. Lee, MPH, is the Director of Prevention Services at the California Coalition Against Sexual Assault (CALCASA) where he provides training and technical assistance on prevention. David manages the national project Prevention Connection, an online community of violence against women prevention practitioners, funders, researchers and activists. For over 29 years David has worked in efforts to end domestic violence and sexual assault. 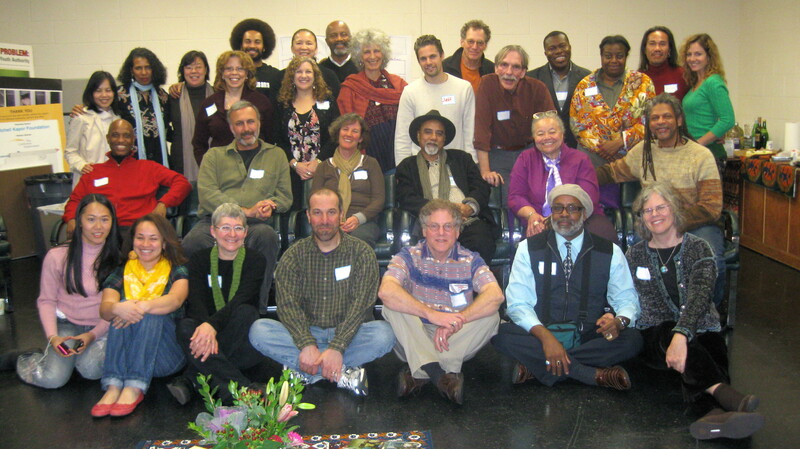 Thanks, David, for posting this report and reflection about the OMP reunion.